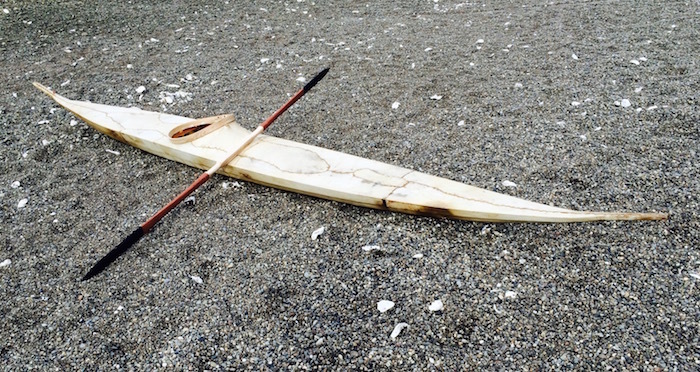 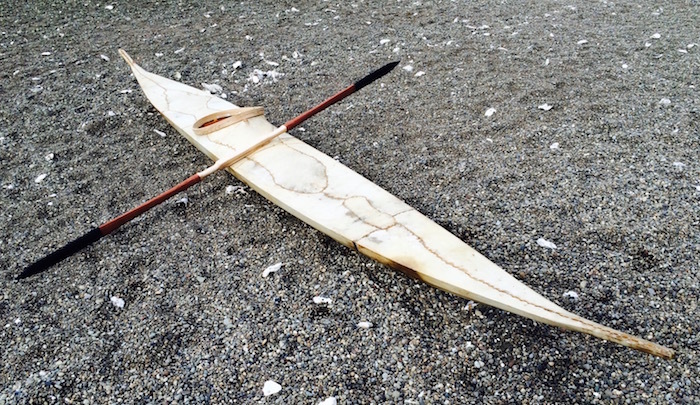 The original kayak is probably from mid 19th century Iglulingmiut or Aivilingmiut. 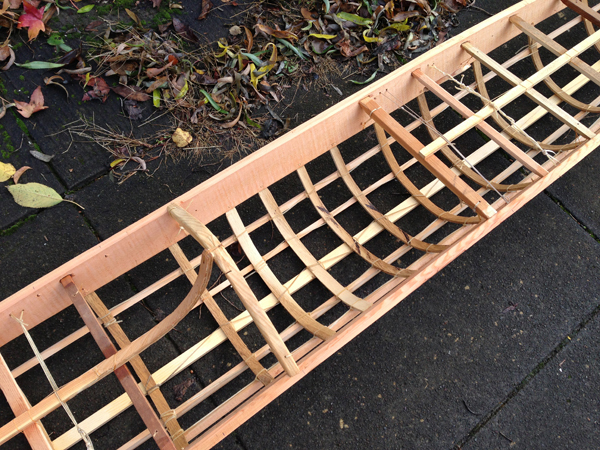 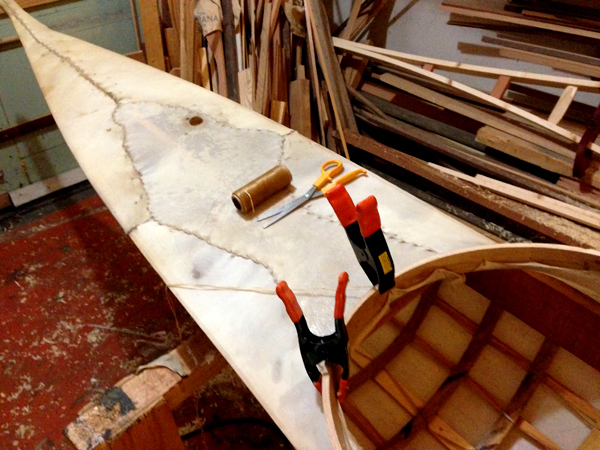 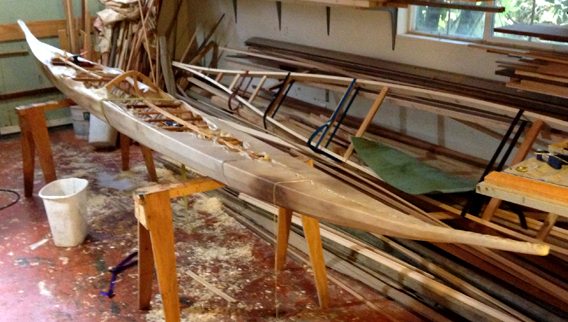 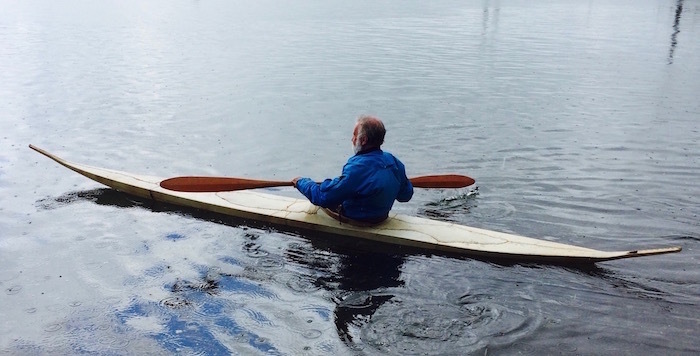 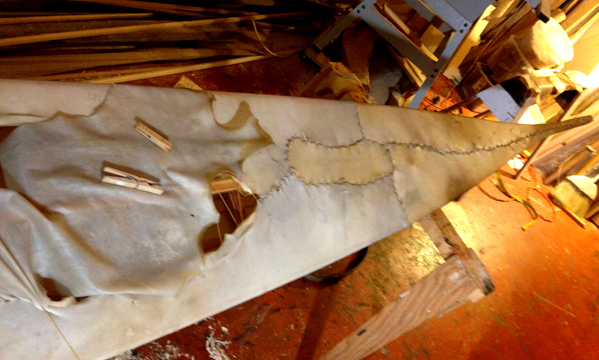 The kayak measures 15'7-3/4" long and 16-7/16" wide. 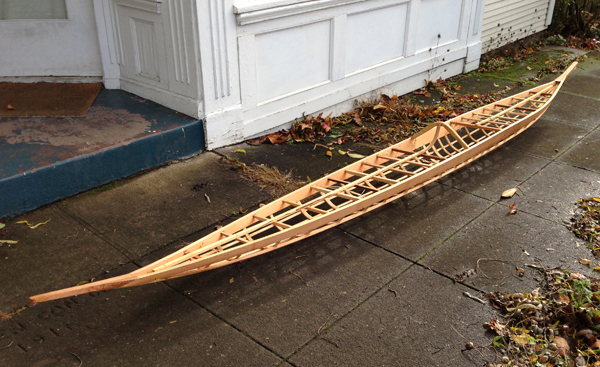 The Completed Frame, December, 2012. 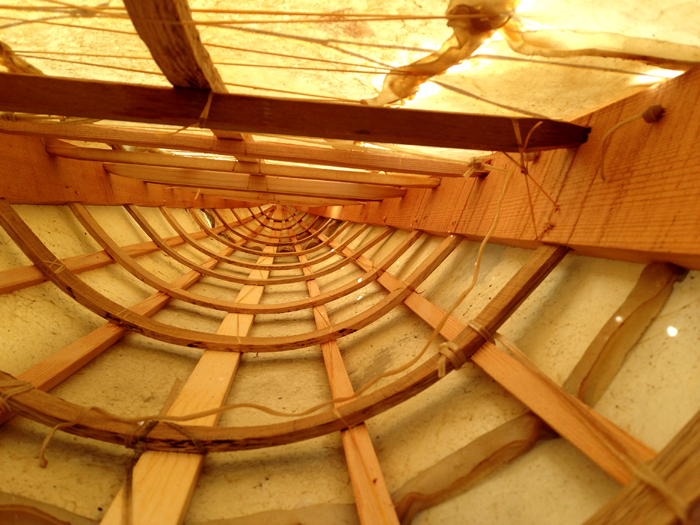 This replica is covered with five deer raw-hides.